Not all of GM’s innovative creations over the years were practical. For instance, remember the 1953 GM Firebird 1? Perhaps it was simply thought of too far ahead of its time, much like the auto pilot functionality you’ll see in the video below. The video was made by GM, and is titled, The Key To The Future. Like the title suggests, this is GM’s portrayal of what the future of driving will hold, and despite being made in 1954 they’re predictions were pretty darn close. An autonomous vehicle may not follow an “electric control strip,” but it will in fact use the lines on the road to orient itself. Fast forward a couple decades, and GM is finally working on an actual, feasible semi-autonomous driving function in its high-end cars, labeled Super Cruise. Since GM cant’t actually predict the future they were a bit off with their time estimation, as the video takes place in 1976. 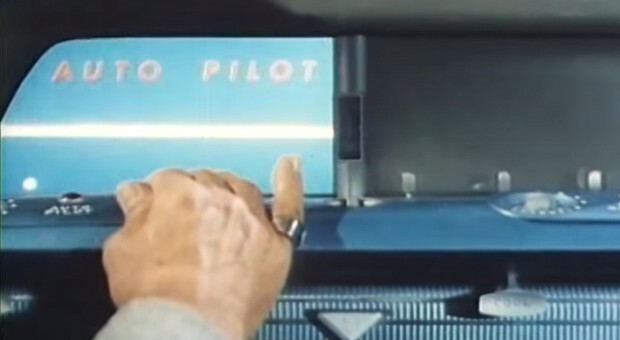 However, as Andrew Moseman of Popular Mechanics points out, the video contains several ideas that are still used in the modern day discussion of car and driver connectivity. As you’ll hear, the man in the video communicating with the car via radio communication offers a service similar to what one would get from their OnStar equipped vehicle or Siri enabled iPhone. He even offers alternative routes similarly to Google Maps, and even chimes in during the family sing along.